Welcome to 4140 Fanny Bass Rd, BRING YOUR HORSES - This Hot Sought after 5 Acre all Fenced and Gated Entry Home features a beautiful open floor plan with the latest updated Florida dcor. This home has been totally renovated and meticulously looked over with new Premium plank Floors and designs. The updated kitchen has new wood cabinets and counters ,new island prep cabinetry with new premium BLACK STAINLESS LG. appliances . The kitchen opens and flows directly into the dining room and family room with enough room for the whole family. A Split bedroom design with spacious master bedroom with a large walk in closet. The master bath features dbl.. vanity sink a soaking tub for your enjoyment and a separate shower. The front and rear entry both have large decks for entertaining friends and family and admiring the horses roaming around your property viewing the vast area of your own green private green space. The large 4 car garage is a steel iron built building with HVAC system and is strong enough for a hurricane rated shelter. The Barn holds 3 horses comfortably and has room for additional upgrades and expansion. The well and Septic have just been inspected and brought up to 2018 standards and codes. A truly move in property and ready to enjoy. 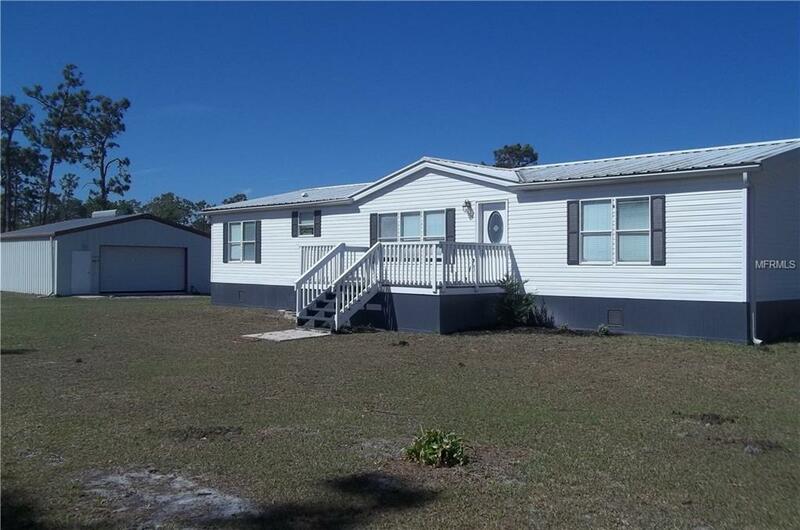 - call your agent today for a viewing and more information.